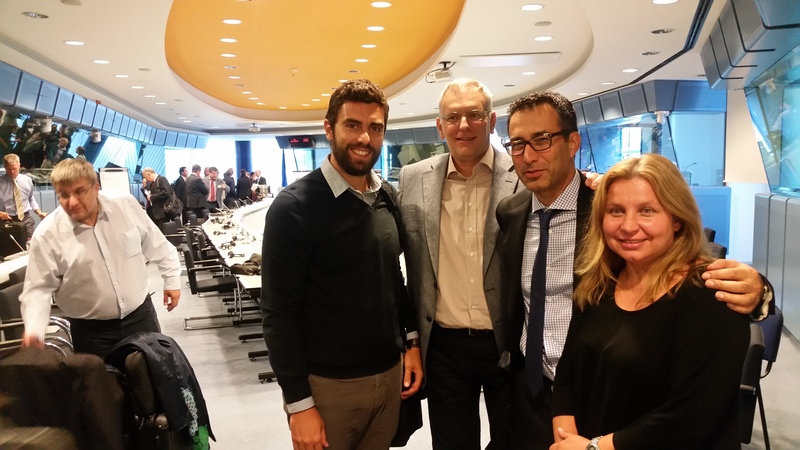 On Tuesday 8th of September, six verifiers (Kostas Antoniadis, Apostolos Siskos, Stavros Vlachos, Vasiliki Sideri, Colm O’Conor and Violeta Hristova) of EMICERT team participated in the 2015 EU ETS Compliance Forum Event in Brussels organized by the European Commission DG Clima. The event’s objective was to train the representatives from the EU ETS Competent Authorities (CAs), Verification Bodies and National Accreditation Bodies (NABs) on some of the more complex issues associated with reporting of EU ETS verification, based on real-life case studies discussed in small groups facilitated by dedicated trainers. The training was completed successfully drawing to several conclusions regarding raised issues during the discussion of the main sessions.